You’ve probably sushi at some stage and enjoyed the unique Japanese flavors but did you realize there are different types of sushi and that it’s more than just raw fish? If you take a look at the menu next time, you’ll see words like maki and nigiri describing sushi difference; here we take a closer look at maki vs nigiri to clarify things. 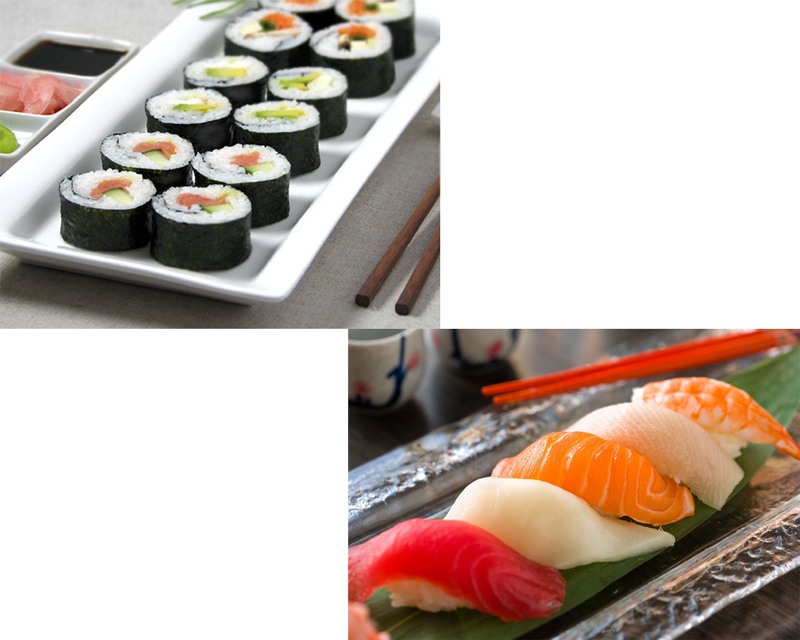 Maki sushi is also known as a beginners sushi because not only is it the most popular, it is also the most simple for less adventurous palates. This most basic form of sushi takes the familiar form of rice rolled in seaweed which can be added to with various vegetables and different sauces. Maki sushi has a variation known as uramaki which is an inside-out roll with the rice on the outside with the main ingredient being the semi-sweet sticky rice, seasoned with rice vinegar that is associated with maki sushi. 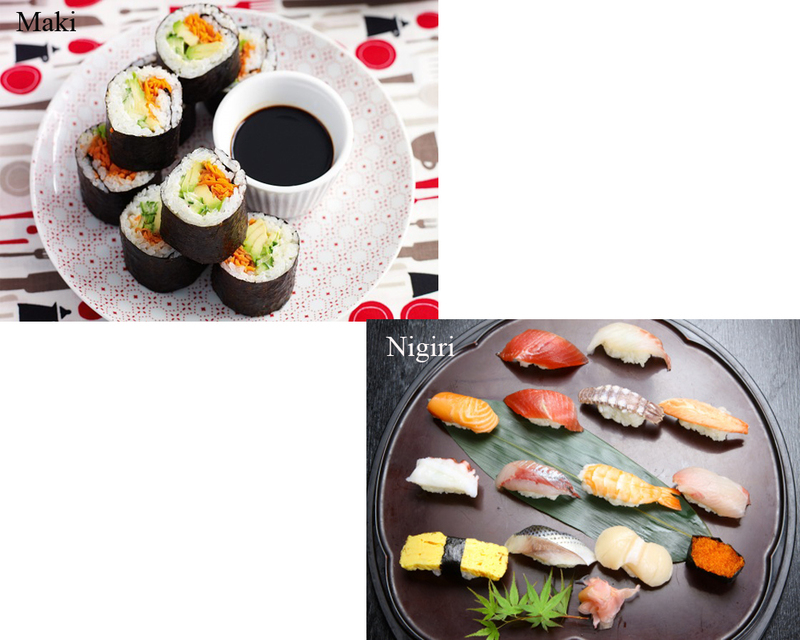 On the other hand, Nigiri sushi is for more seasoned palates and those familiar with traditional sushi. This is the raw fish that is mainly associated with sushi. Nigiri sushi is made with two principal ingredients, fish and rice and is sometimes served with seaweed. 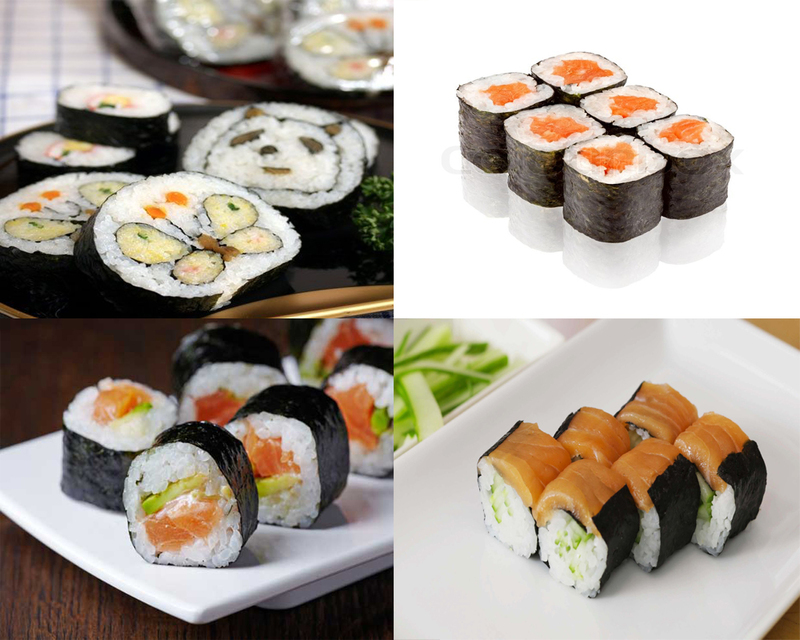 It is rolled into an oval shape with a sliver of raw fish such as salmon, yellowtail, mackerel or tuna placed on top. Take a look : Sashimi vs Nigiri. 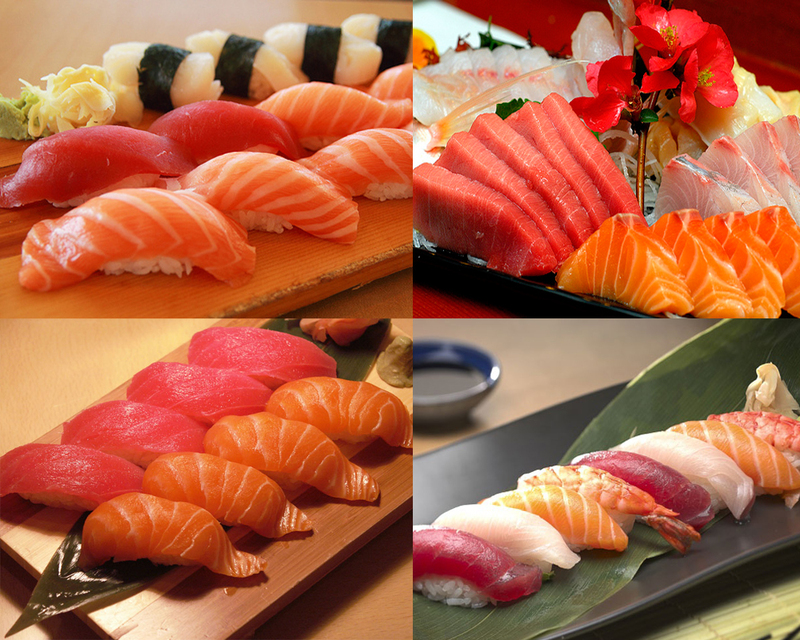 Whatever your sushi preferences, there’s plenty of choices available no matter which you prefer from maki vs nigiri. If you’re new to sushi, perhaps make your first taste something from the maki style of sushi which will be less of a challenge to your palate than the more adventurous nigiri-style. The most important thing to remember is that this food is eaten with your hands in the company of close friends for an authentic and enjoyable sushi experience.